I was born in 41 Adamswell Street and my father was a policeman in the St. Rollox Division. During the war I worked at the North British Locomotive Company, just down the street from where I was born. I am very familiar with Springburn. In those days it was a thriving district of working class folks. The Co-op was one of the largest business - they even had an undertaker division in Morrison Street. Springburn as it was is very clear in my memory. If there is a Transport Museum, why not a museum to preserve the history of Glasgow. "The Co-op was one of the largest business - they even had an undertaker division in Morrison Street." It might be smaller but it is still there. 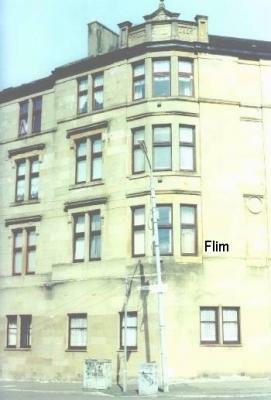 "Springburn as it was is very clear in my memory. If there is a Transport Museum, why not a museum to preserve the history of Glasgow." We prefer to call it the People's Palace. Flims, should I recognize the street in your photo? In my memory, the old streets had class. I believe the Co-op offices were in the same street as the undertakers. They also had tailors. My parents would pick out the cloth and Mother would have a coat made and Dad his three piece suit. hi guys, I do believe the funeral parlour was in Angus St, off Springburn Rd, there was possible another one in Morrison St, (was that in the south side???) Bunty, I was born/brought up in Crichton Street went to Gourlie school, but our first wee hoose after we married was 182 A -dam- swell Street!!! It was a wee palace (at least we thought so) lovely memories here! We always went to the co-op in Springburn Rd, just before the bend for our school uniforms! changed days! Toerag, you must have lived in the tenements at the end of the street. You would have been facing the North British Locomotive Works, if they were still standing. After the war it was just impossible for the servicemen coming back to get any kind of housing. My brother sublet a single-end in Balornock, lived in a converted double-decker bus and finally made the wise decision to move his family to Australia. Hi Bunty, yes we were the second close from the end, I think Teachers Whisky was at the end of the street?? would that be right? Toerag, I dont remember what was at the end of the street but I believe there was a bank and a little newsagent shop at the beginning of the street. Also, you are right about Morrison Street. That was in Shieldhall and I believe you had to shop there for bigger items. 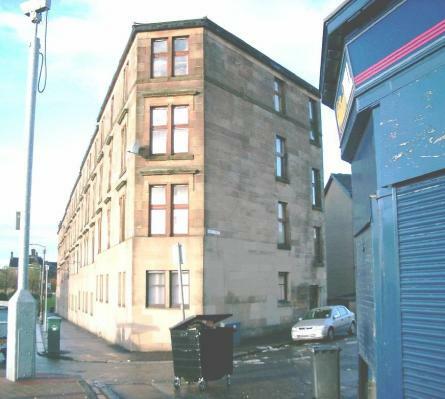 Angus Street was where they had the undertakers in Springburn. What took you away from Glasgow? Hi Bunty, your right about the wee newsagents being at the beginning of the street, as for a bank, not sure about that, we did ny use banks in thae days!! We came to Canada as we thought our kids would have a better atart, plus my big sister was here! The were 3 months & 16 months when we left Glasgow! I've wondered if you all get together in Ontario. If you have never met Catherine you are in for a treat. I think they should hold one of the Big Meets in Canada. I flew up from Georgia and attended the one at Wee Mags in East Norwalk, Connecticut, last year. So if all you Canucks decide that it is Canada, count me in. We used to get a wee ice cream in that little store at the corner of Adamswell Street, that's why I remember it so well. Haw pals! Whits goin oan?